EFA Project Space presents A VIDEO SERENADE, a screening of recent works selected by ArtVideoExchange (AVE) and Format Network. AVE is an international exchange program and initiative between artists and curators that promotes the production and circulation of video programming worldwide. Format Network is an artists’ group based in Bristol, UK that focuses on staging activities of exchange and engagement, including screenings and exhibitions, lectures by invited artists, critics and theorists, and open-mic performance evenings. 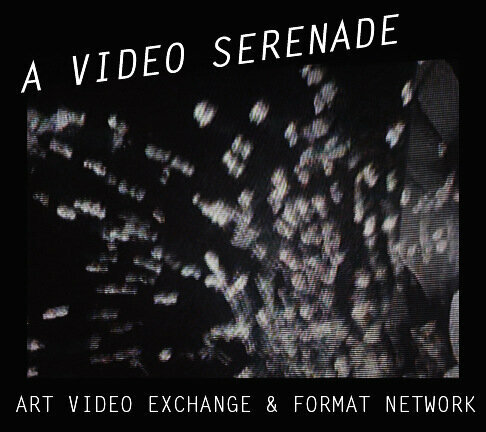 A VIDEO SERENADE presents a wide range of contemporary video, from the performative to the personal to the fictive and the documentary. The program aims to reflect the unique mix of themes and approaches to video as exemplified by the artists supported by these two groups.